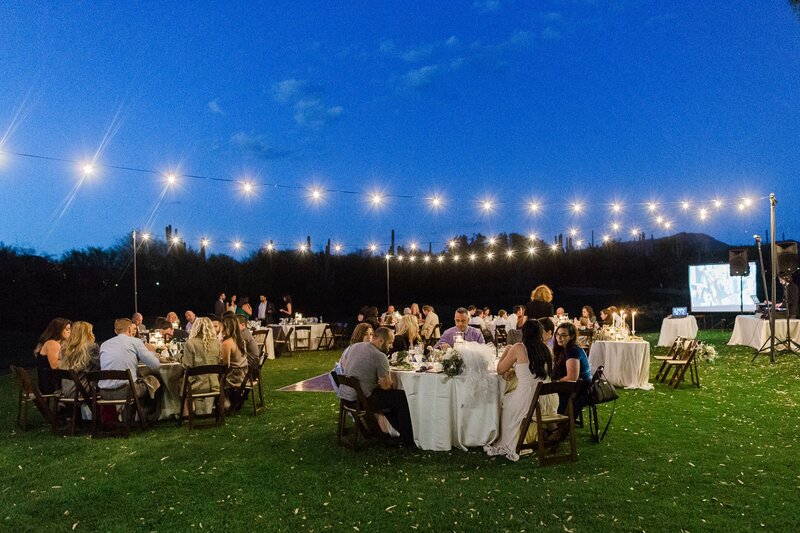 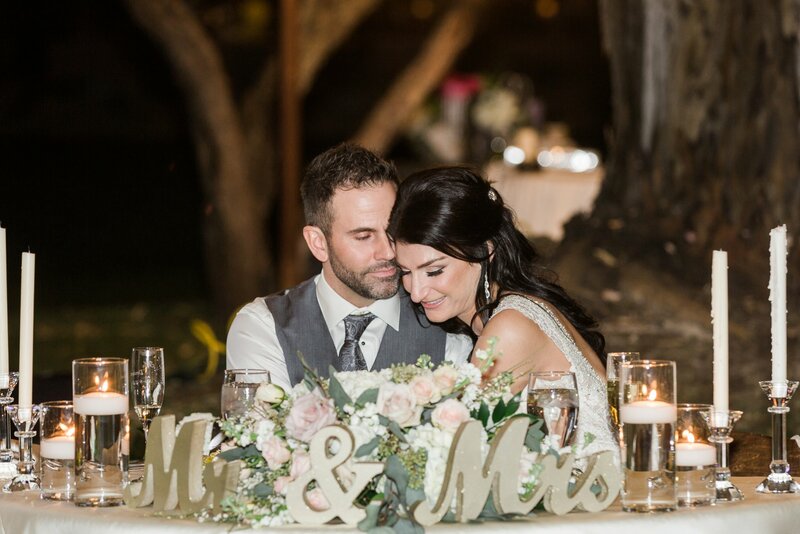 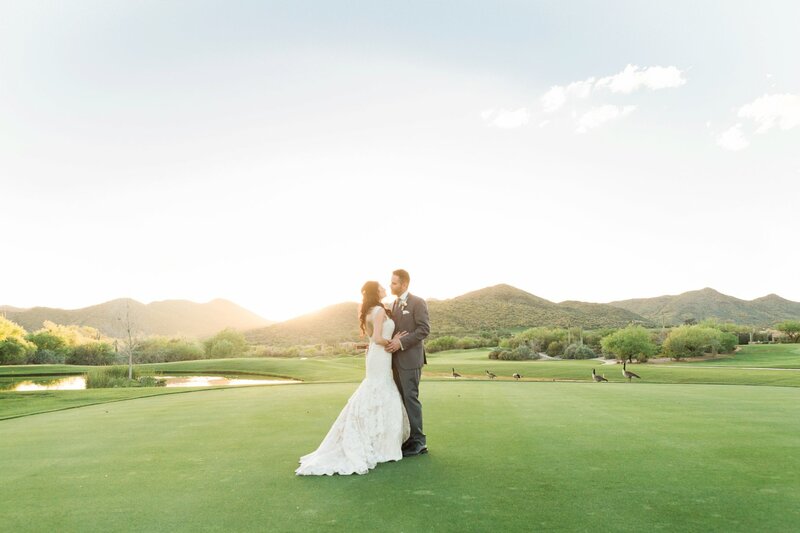 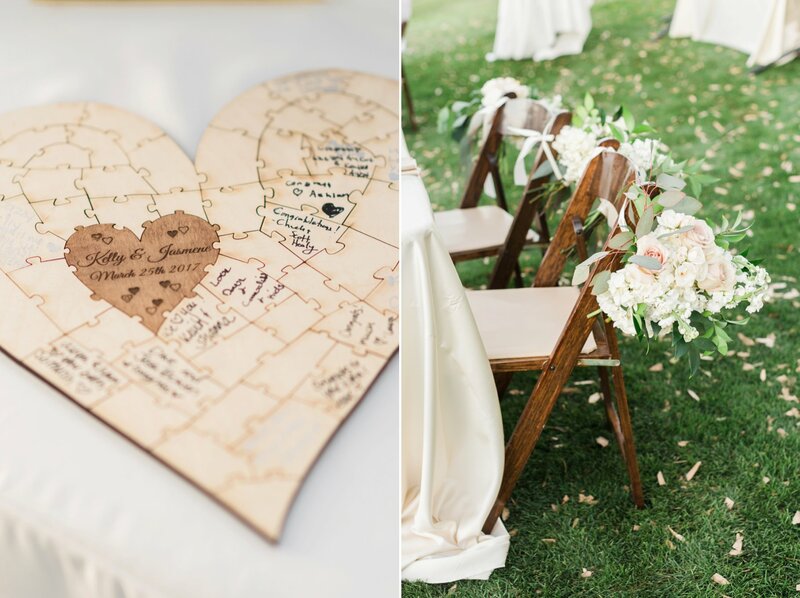 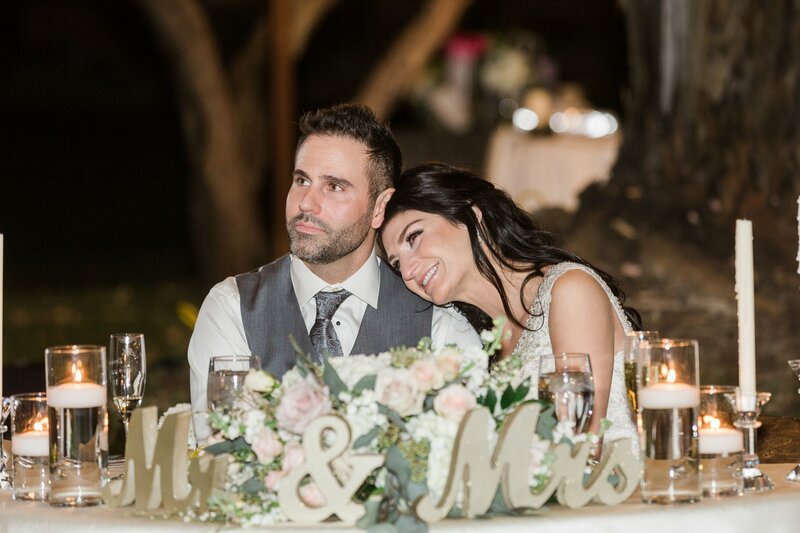 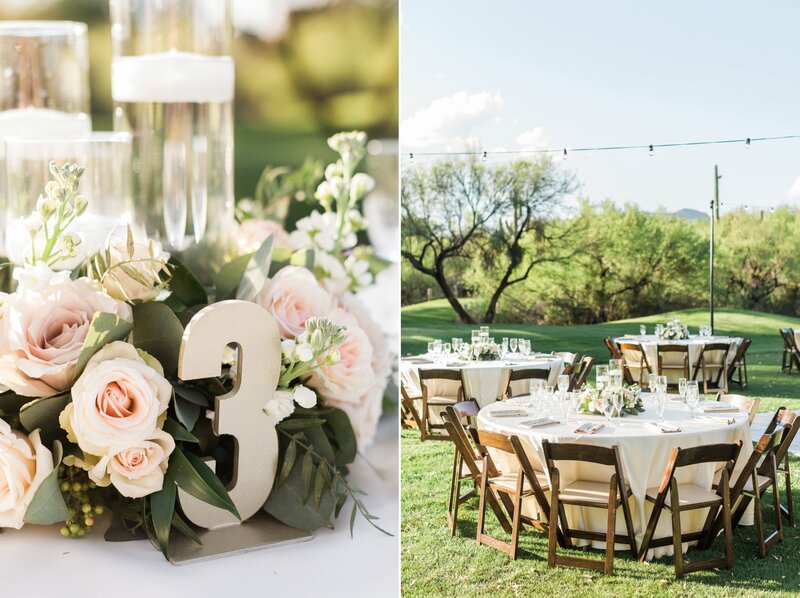 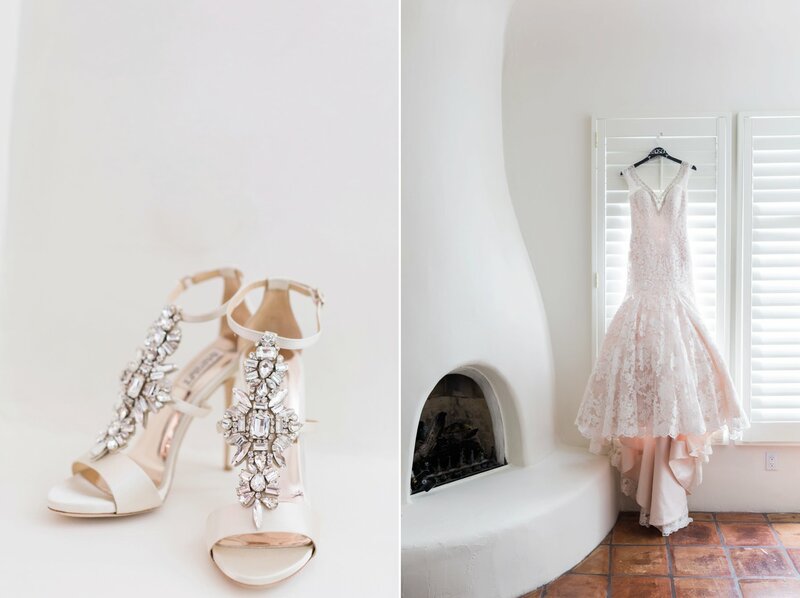 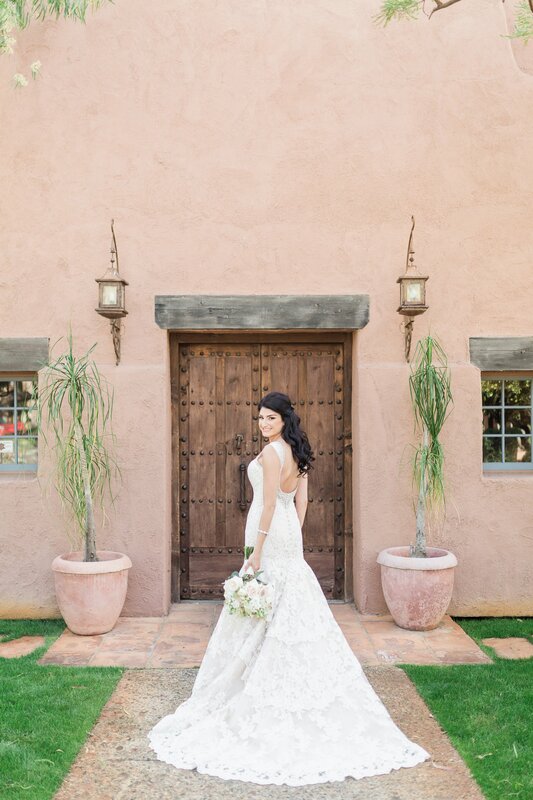 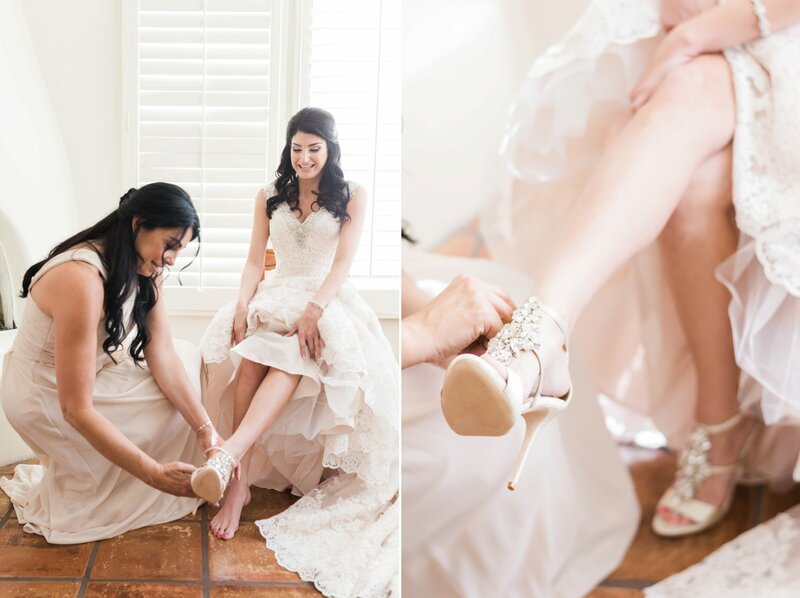 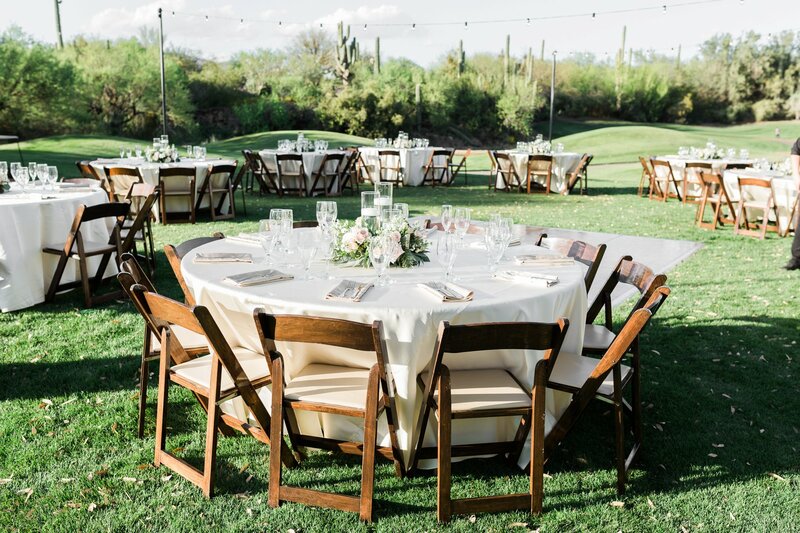 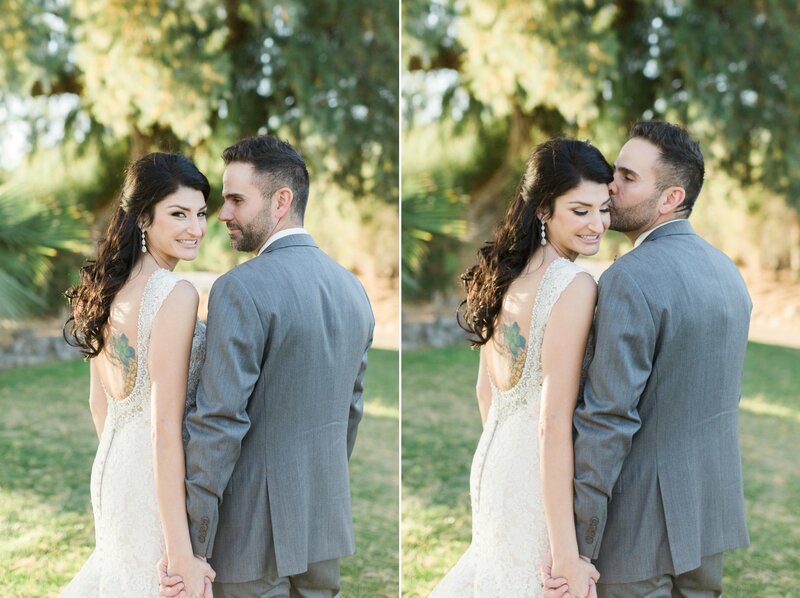 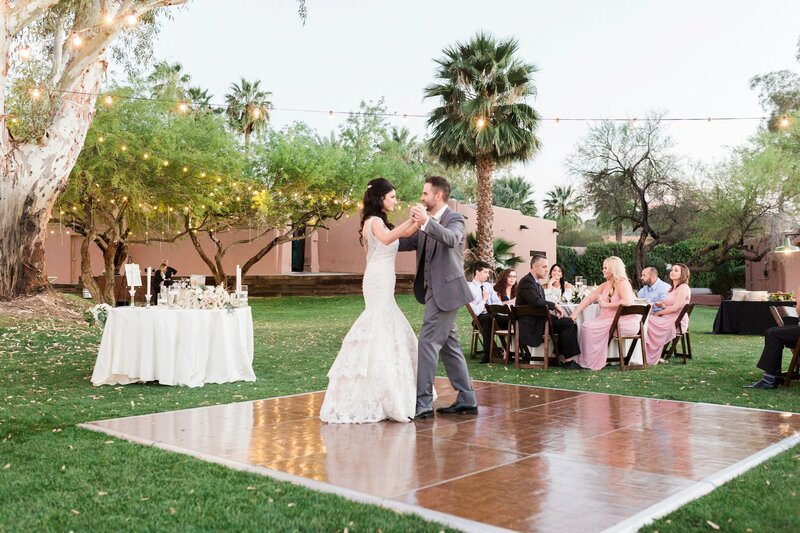 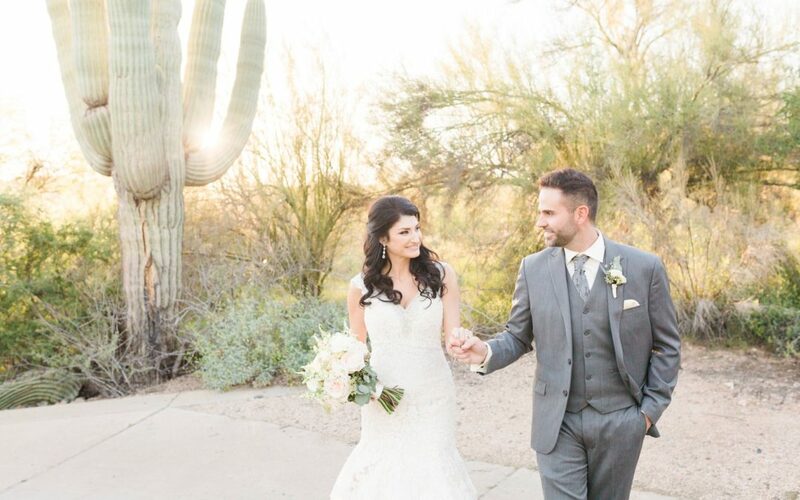 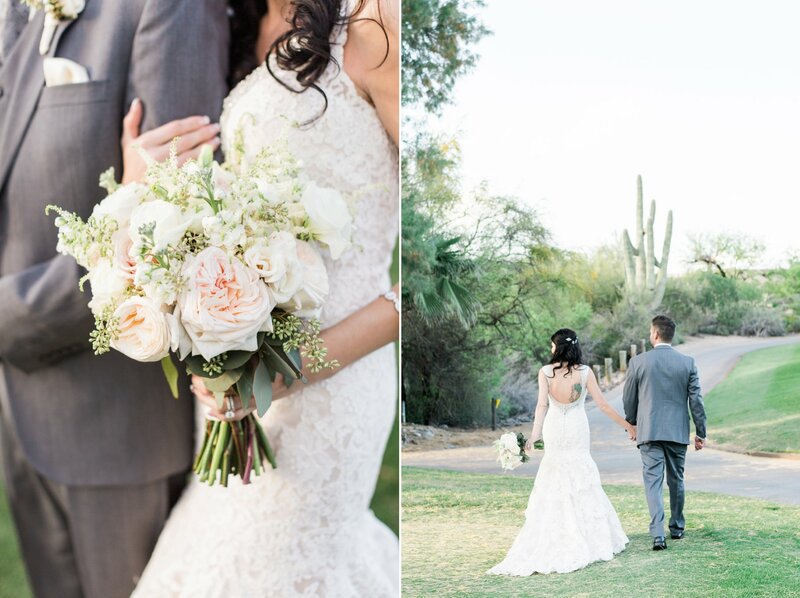 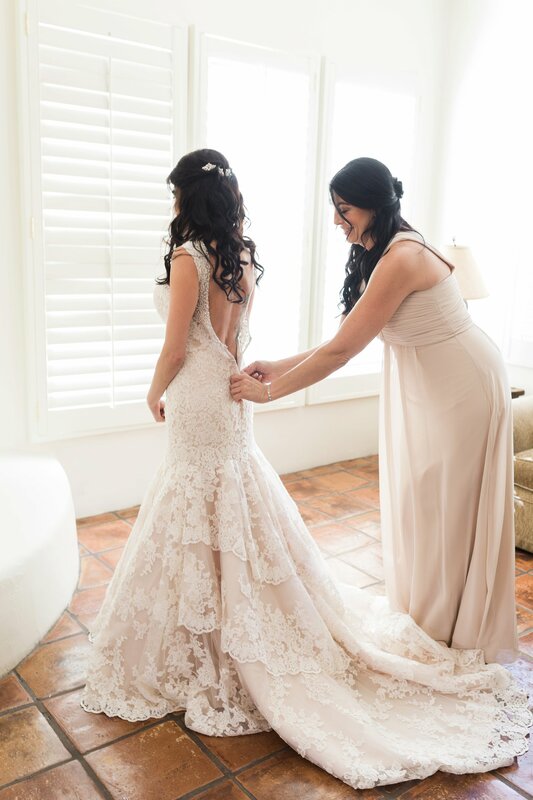 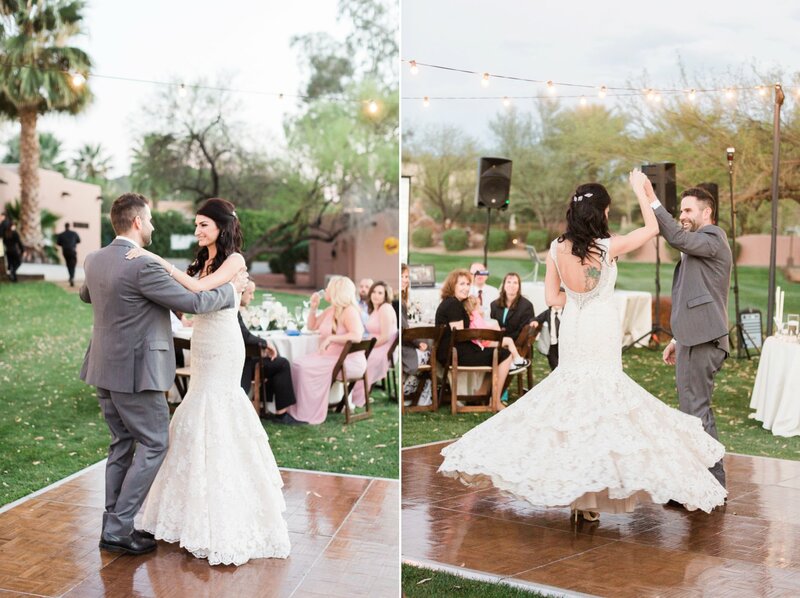 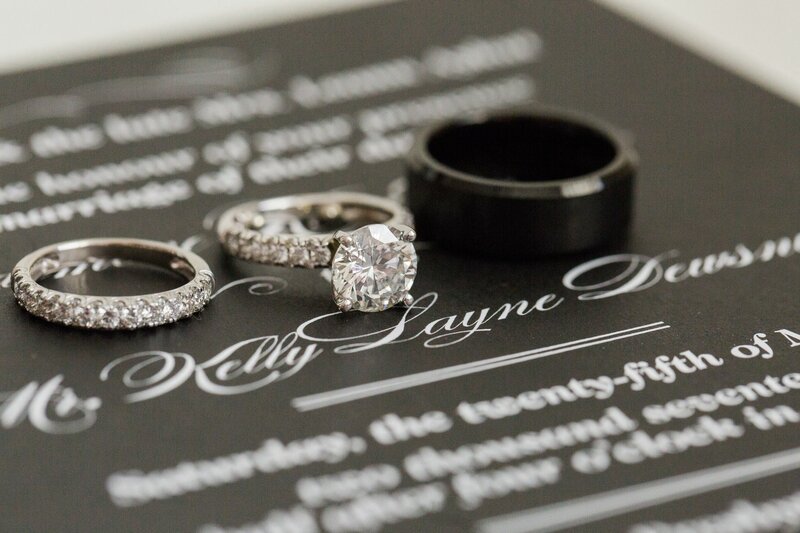 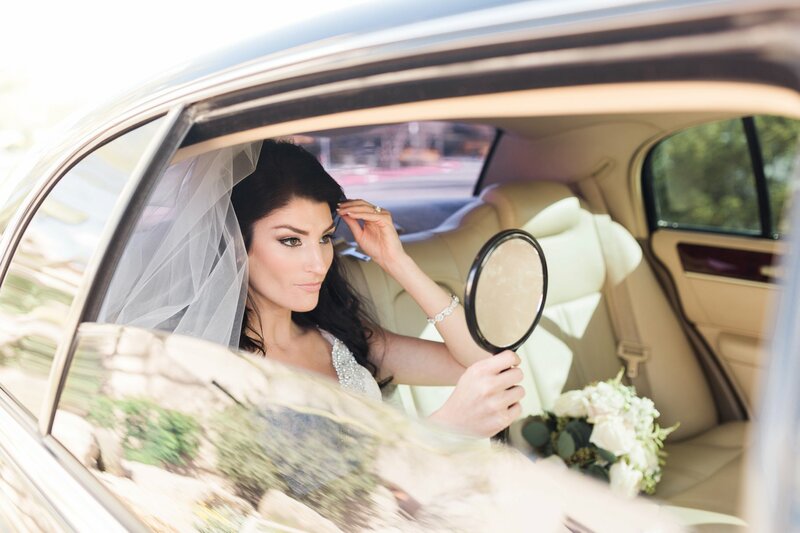 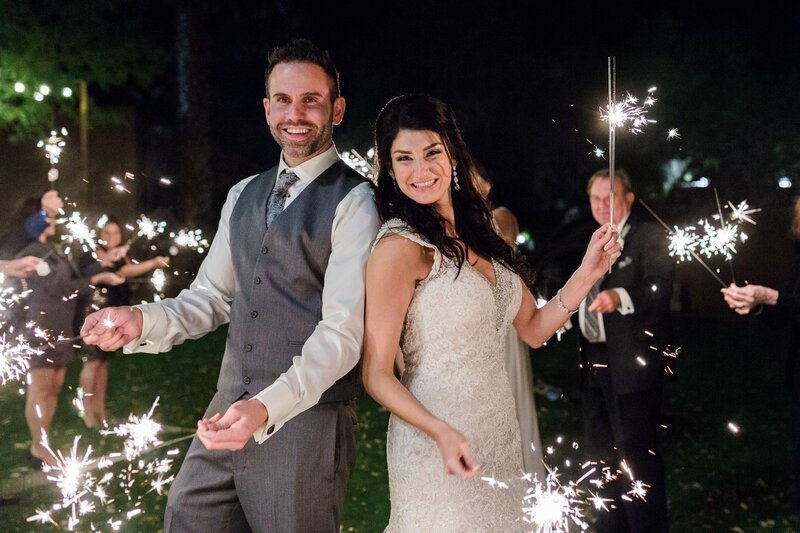 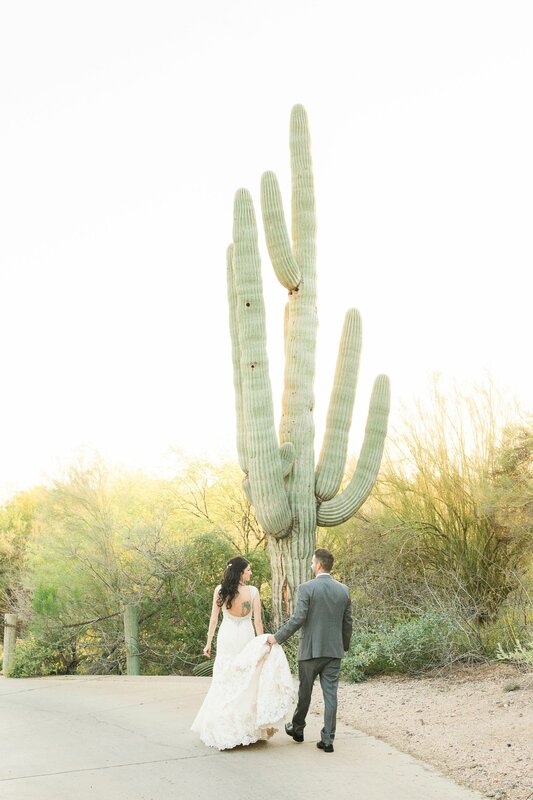 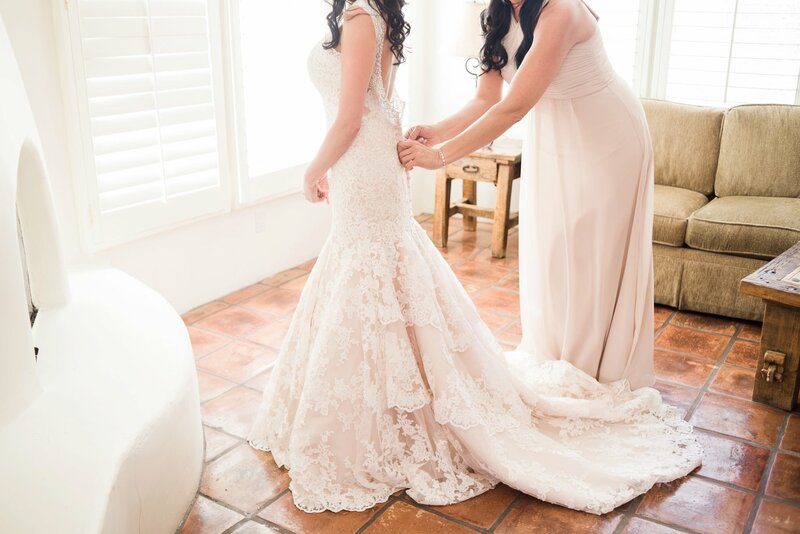 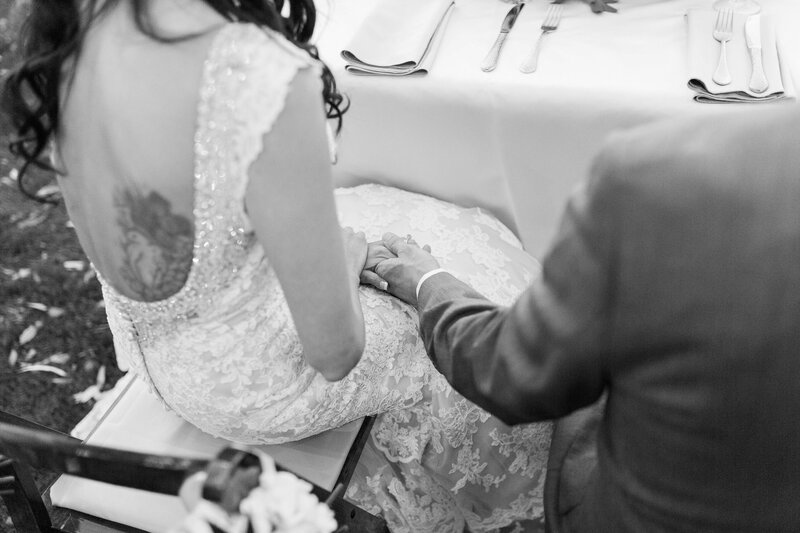 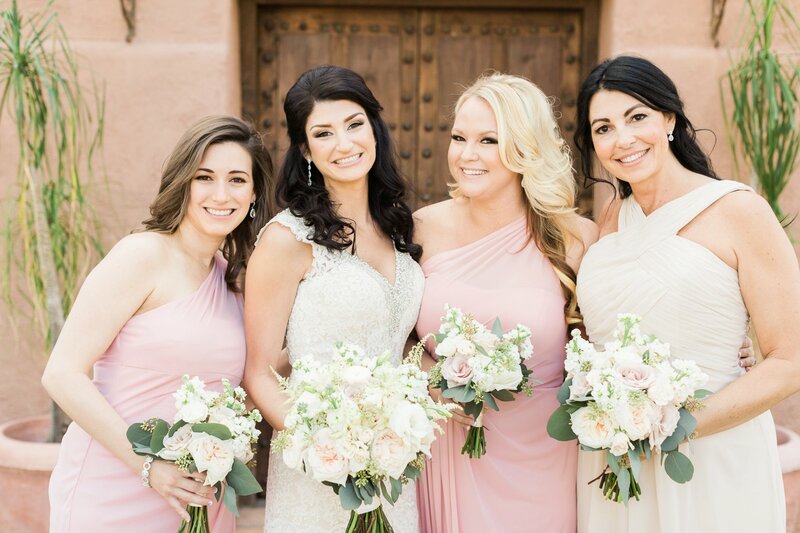 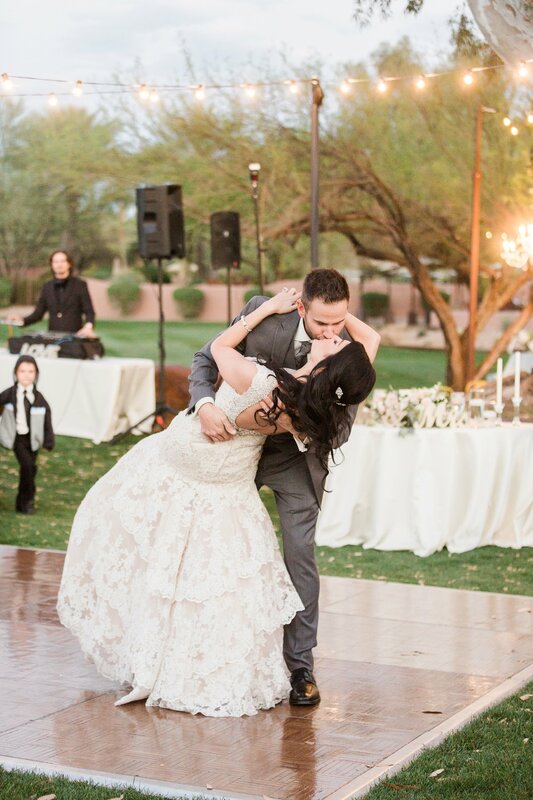 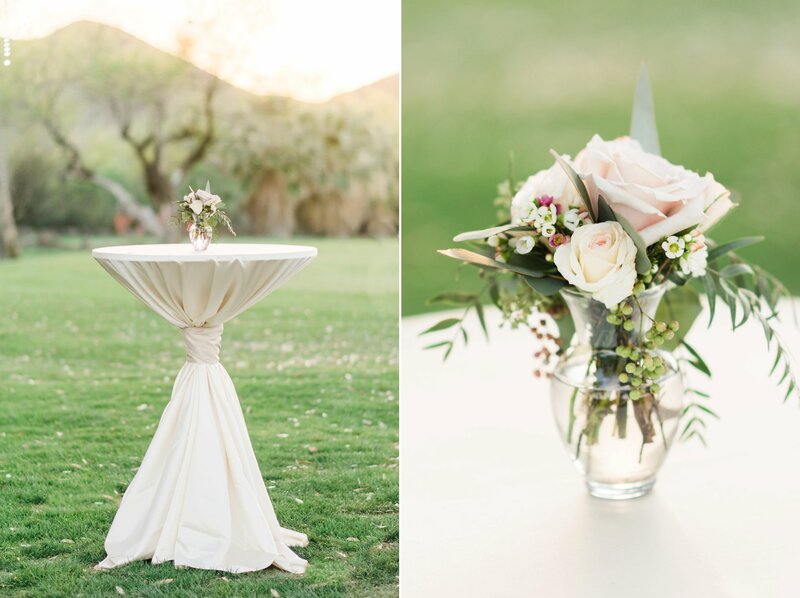 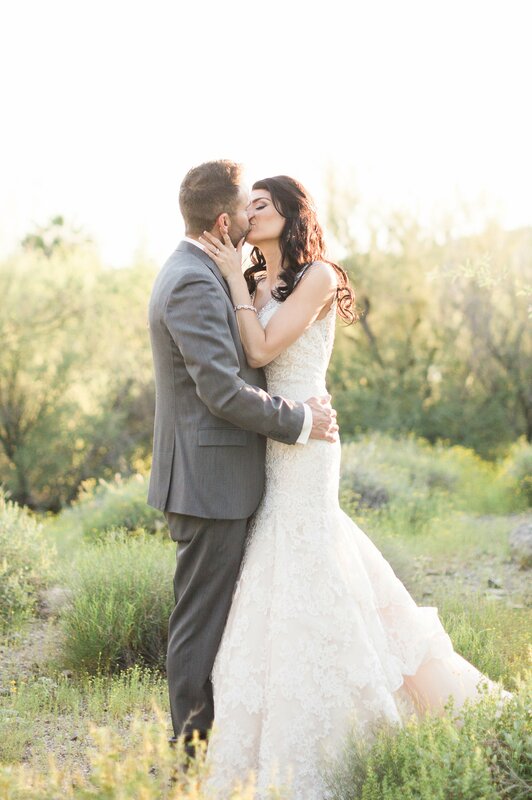 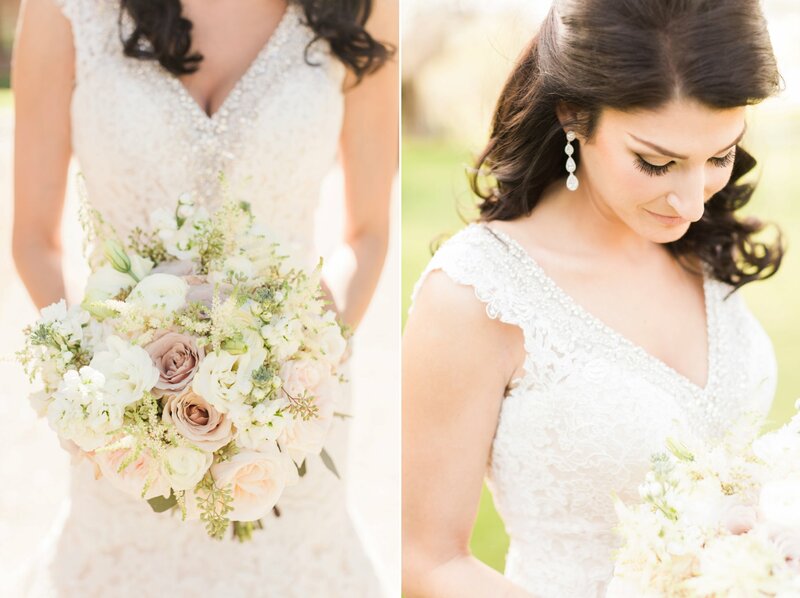 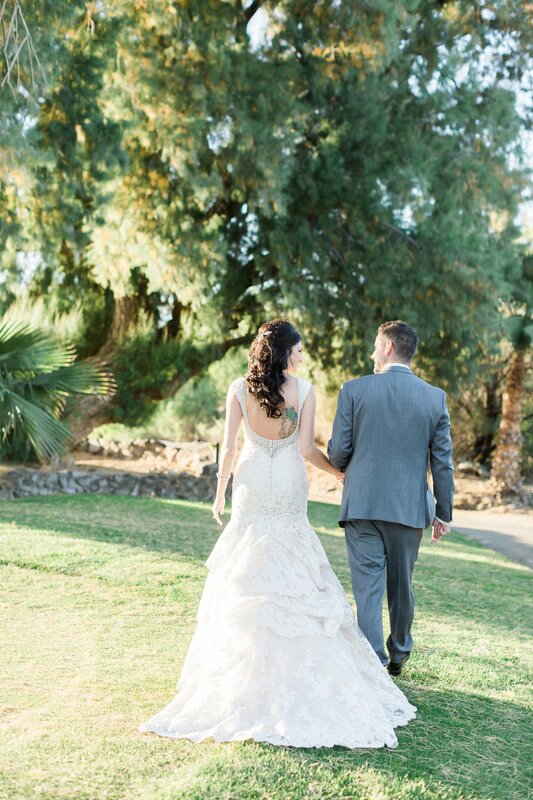 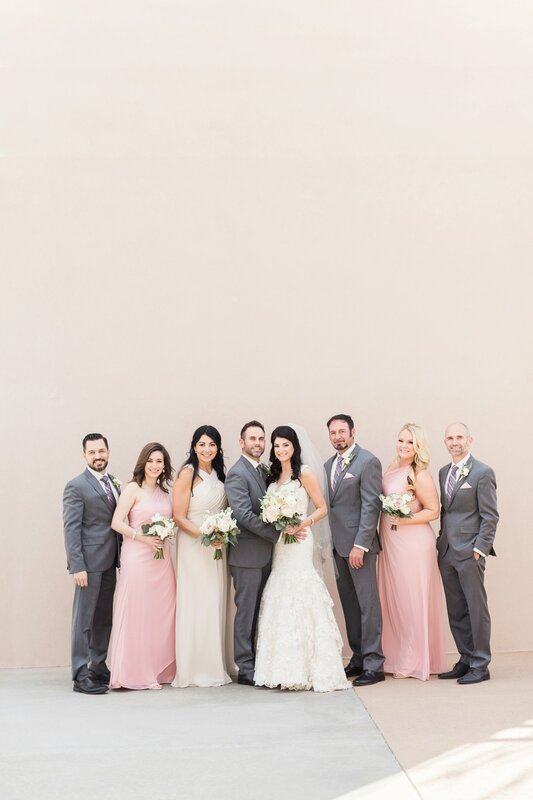 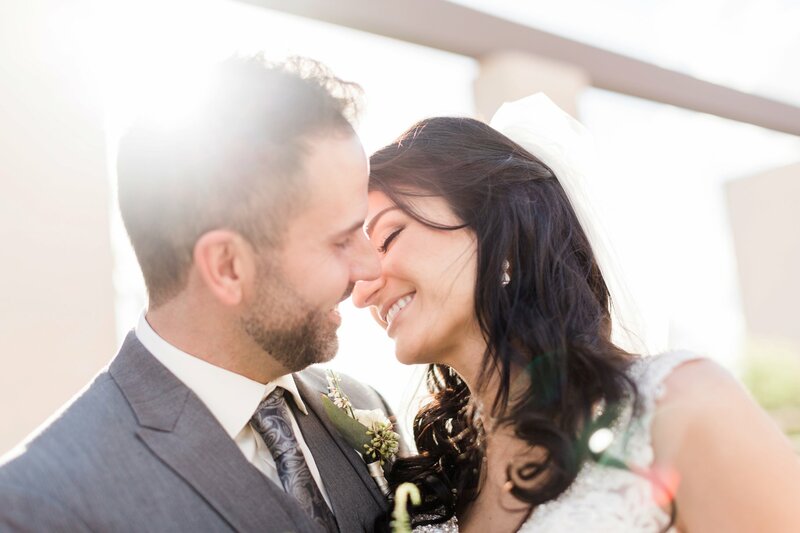 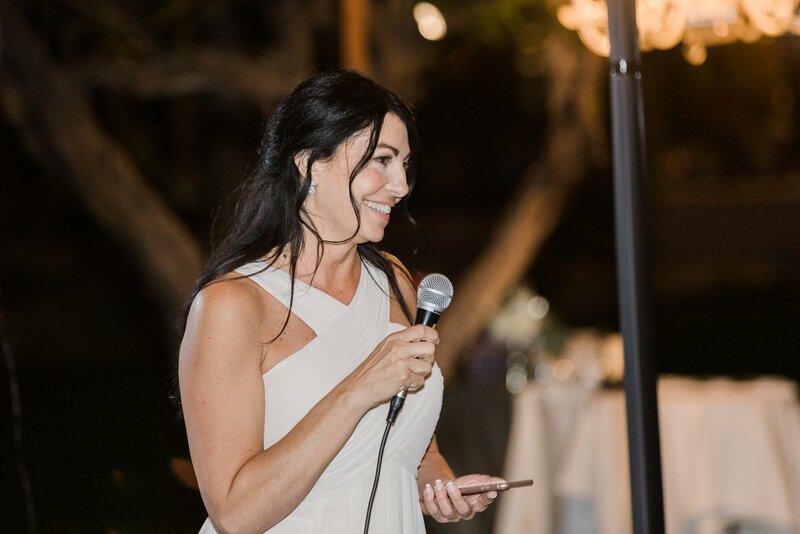 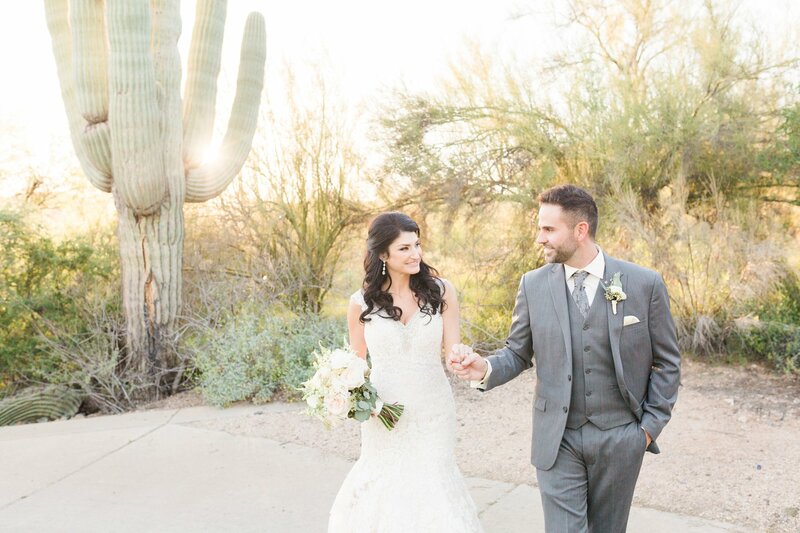 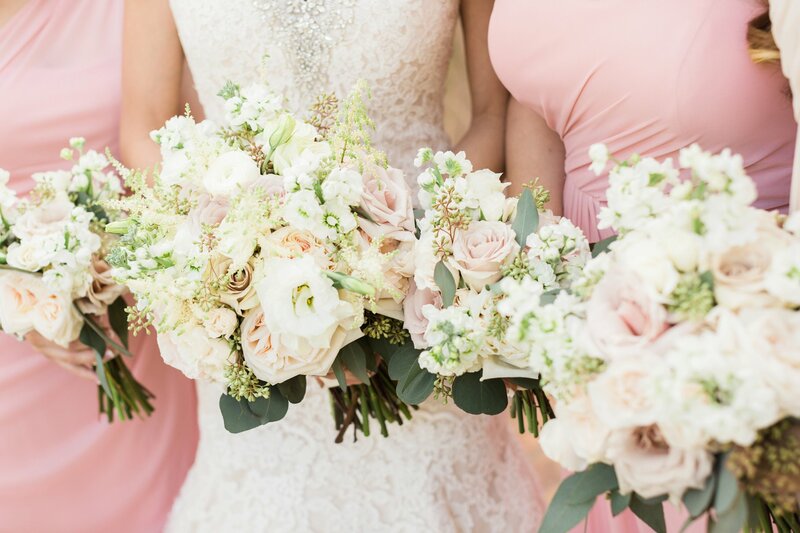 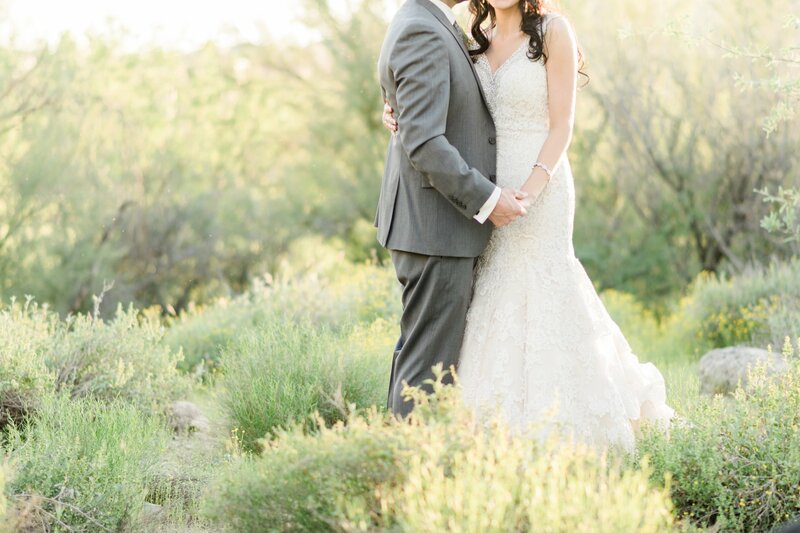 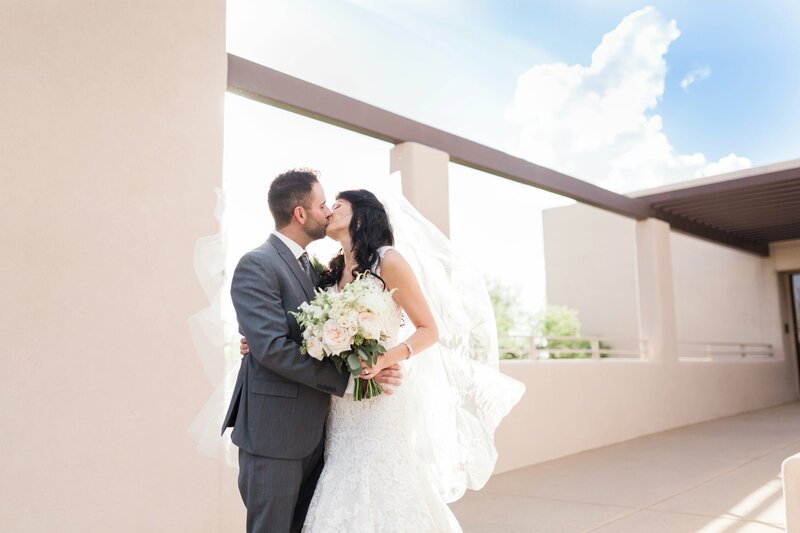 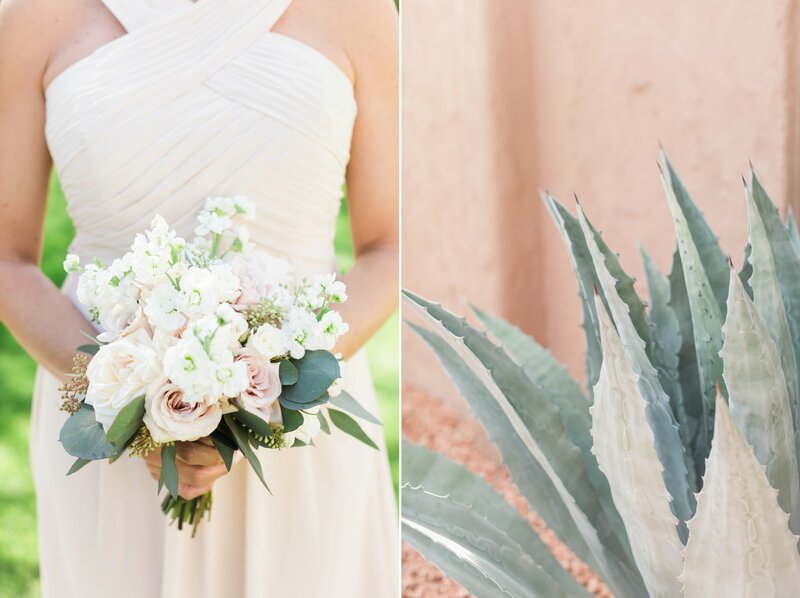 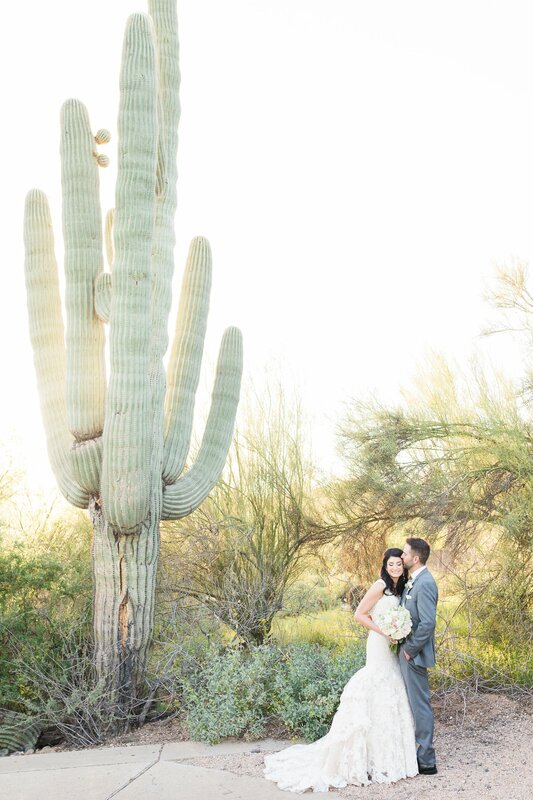 Jasmene and Kelly were married in an enchanting Rancho Manana Wedding in Cave Creek, Arizona. 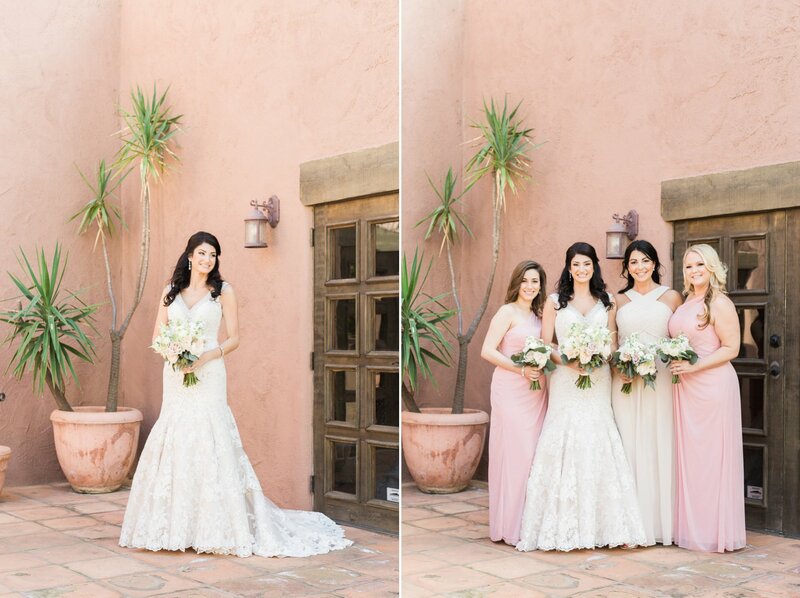 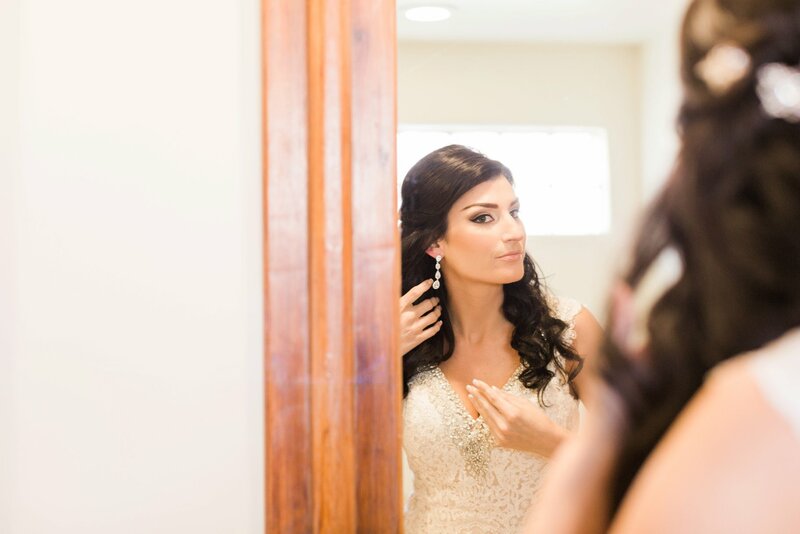 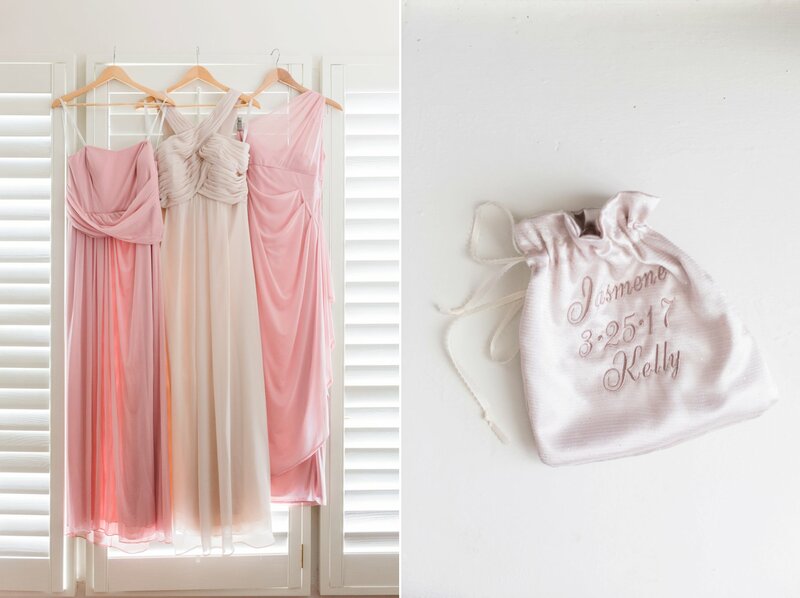 The day started with Jasmene and her bridesmaids getting ready in a suite at the Rancho Manana hotel. 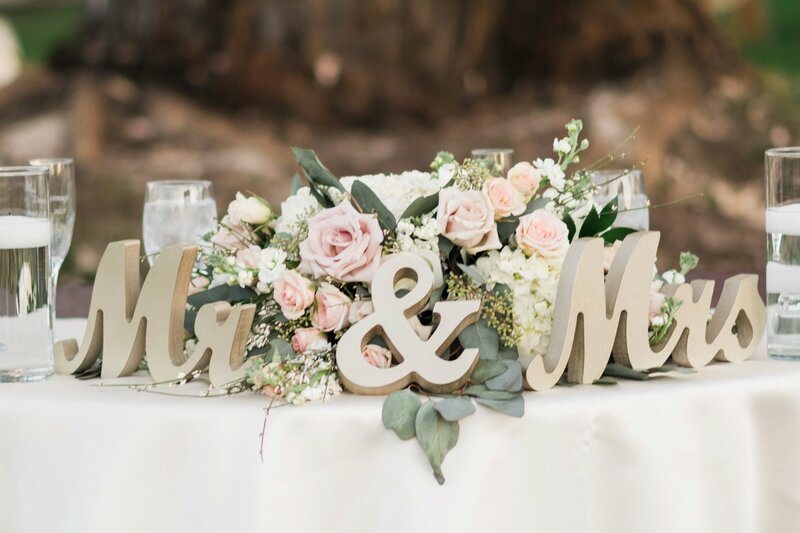 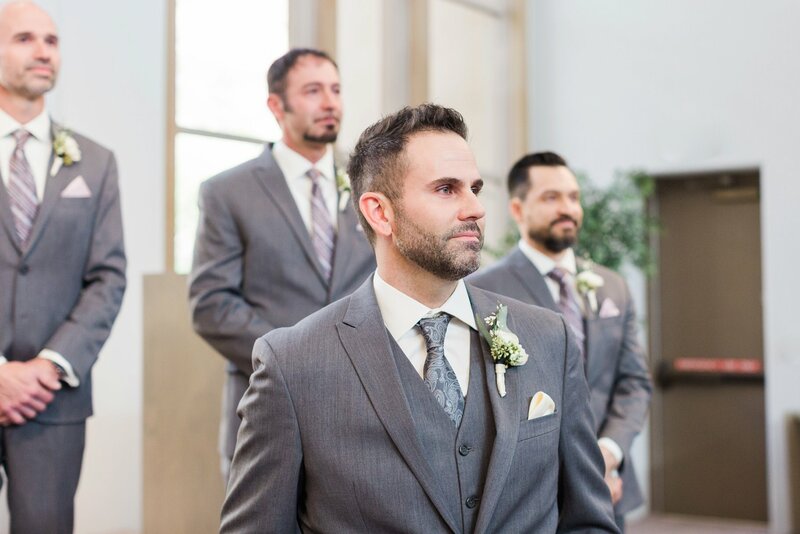 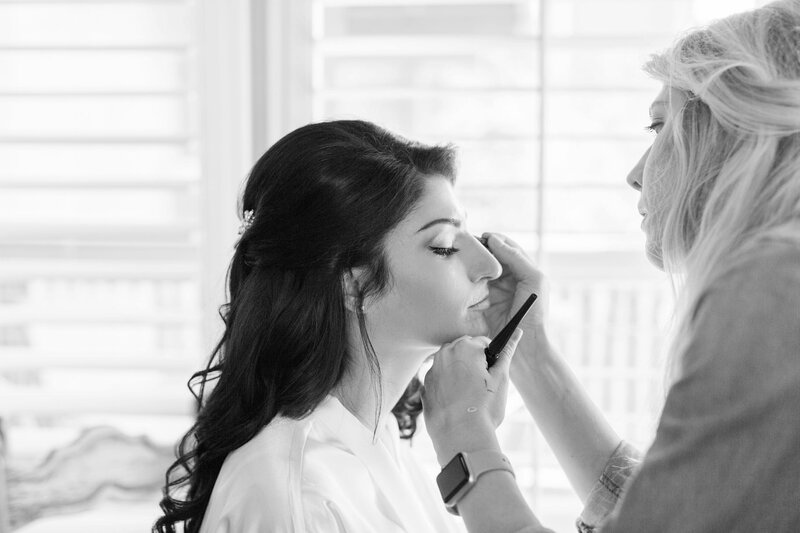 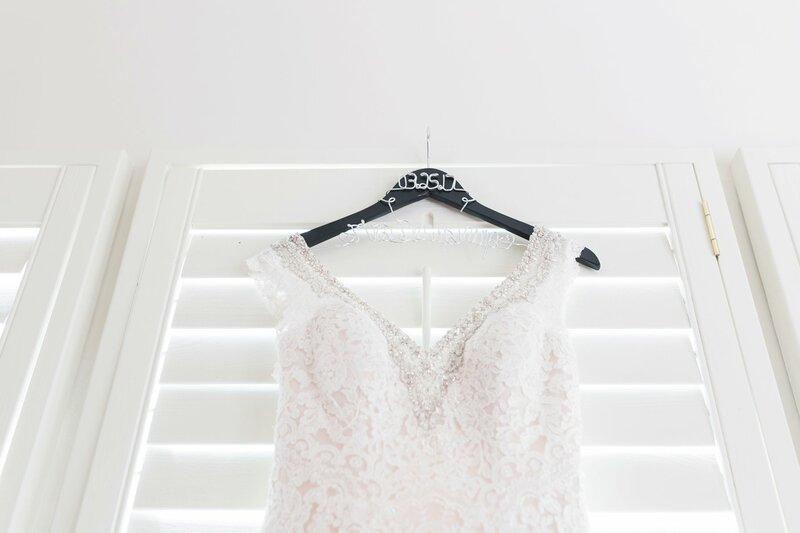 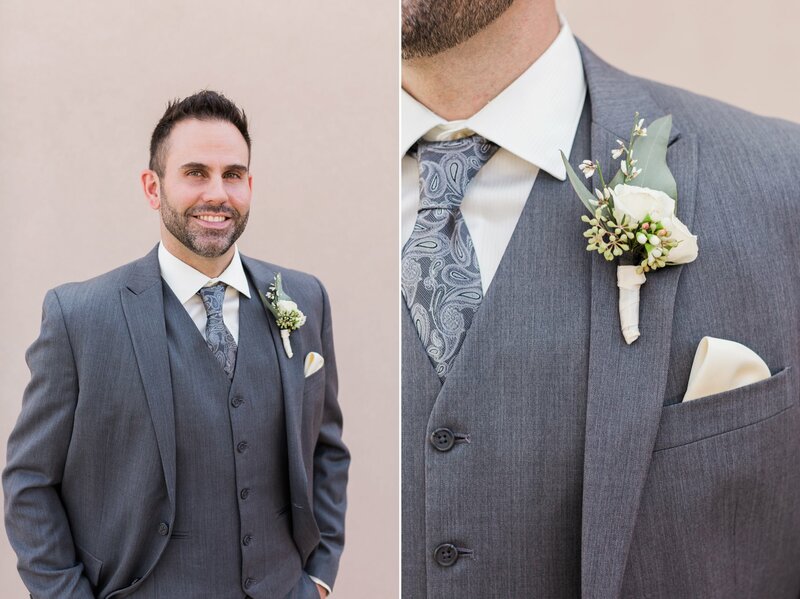 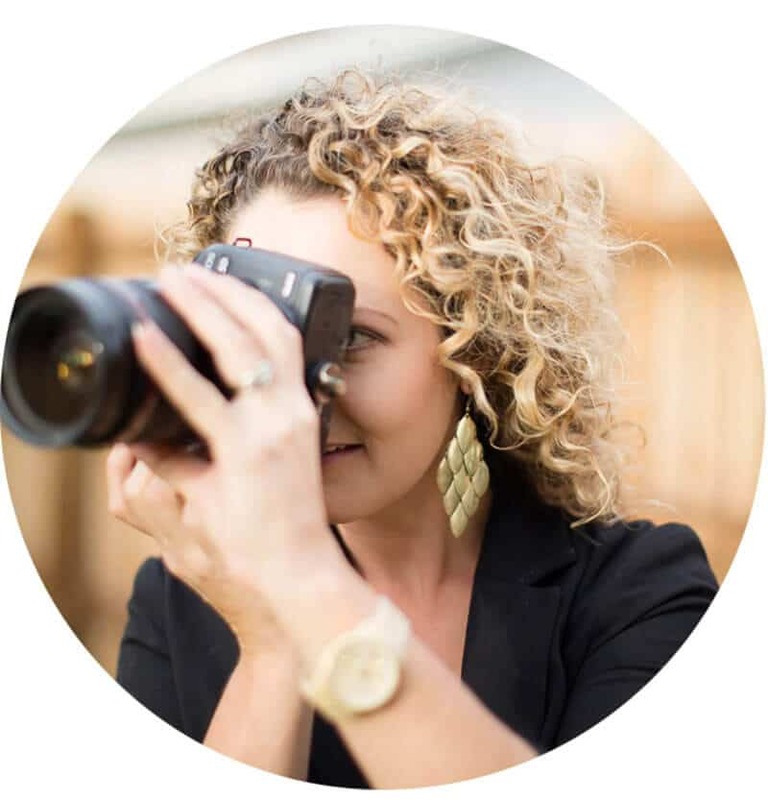 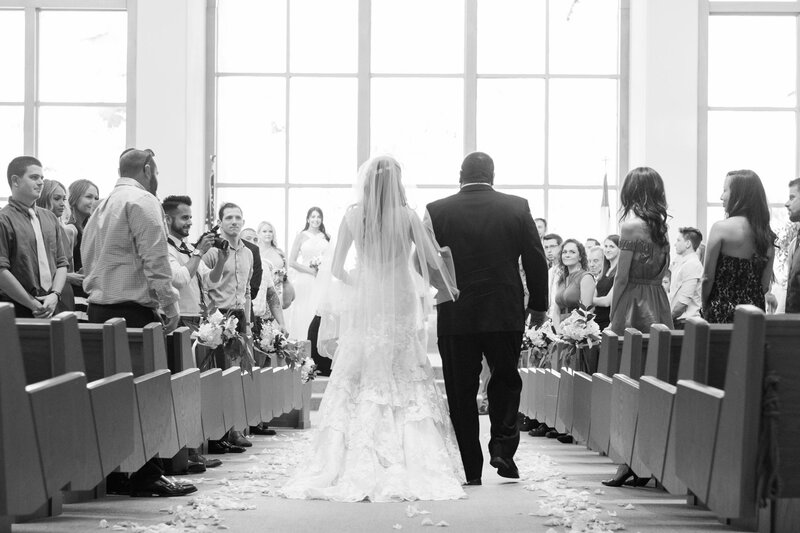 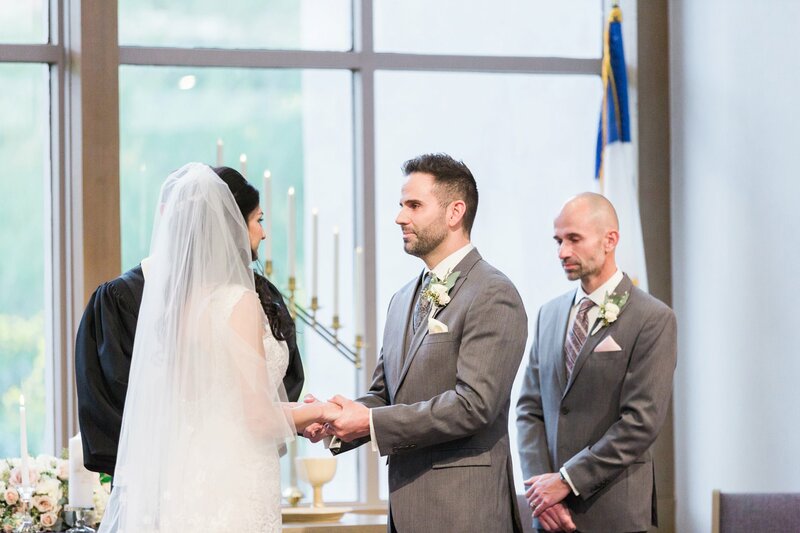 The Bride and Groom decided against a first look, and were going the more traditional route of seeing each other for the first time as she walked down the aisle. 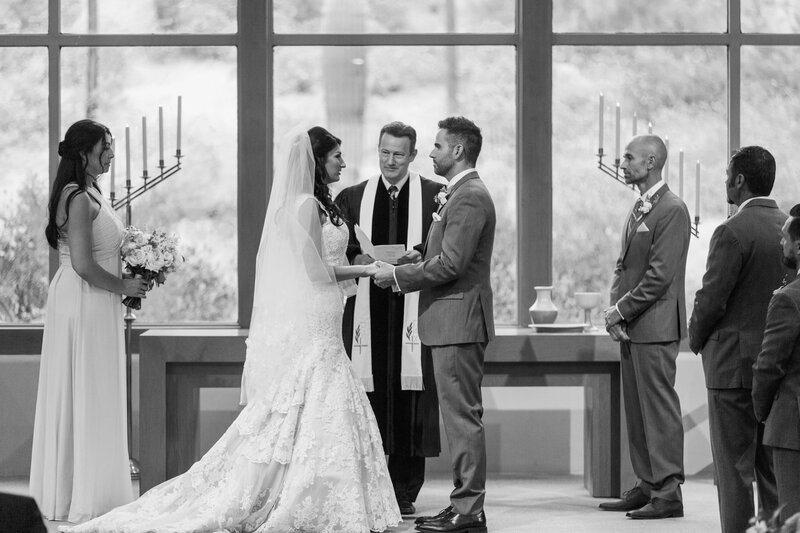 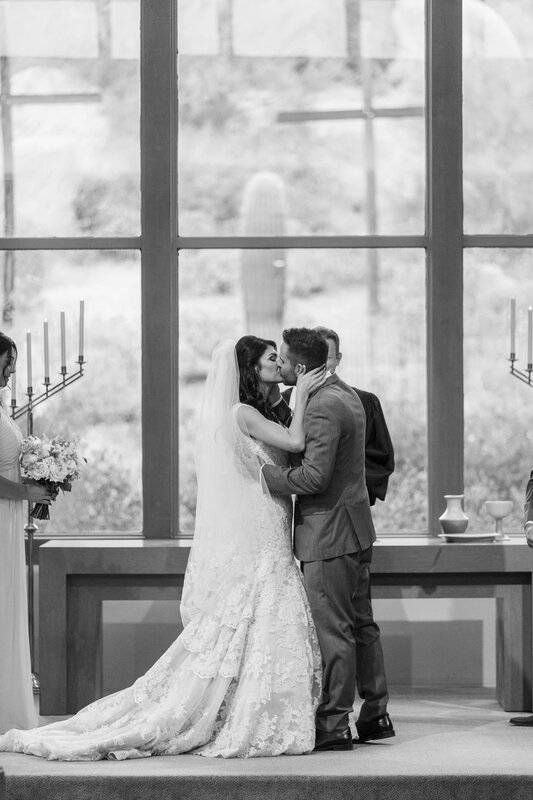 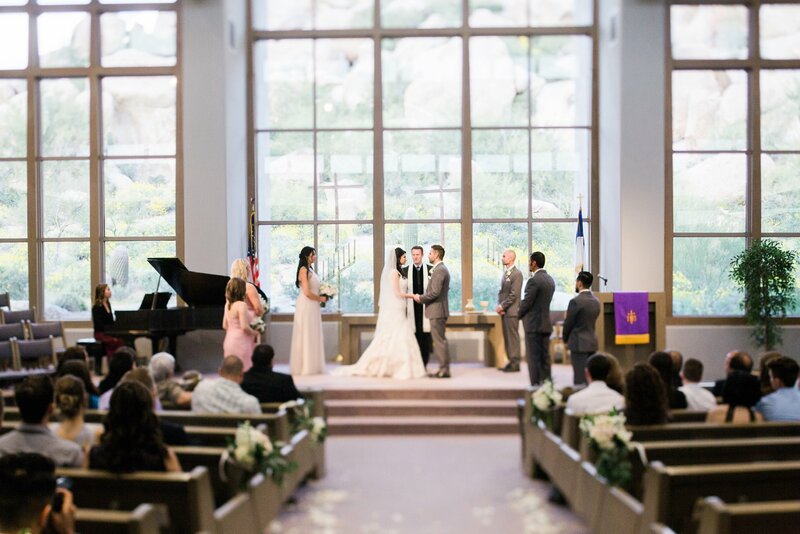 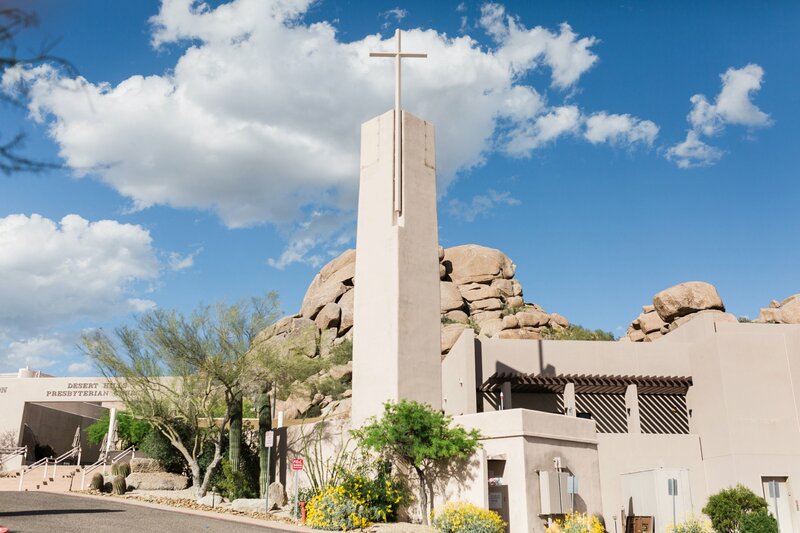 The ceremony took place at the Desert Hills Presbyterian Church in Cave Creek. 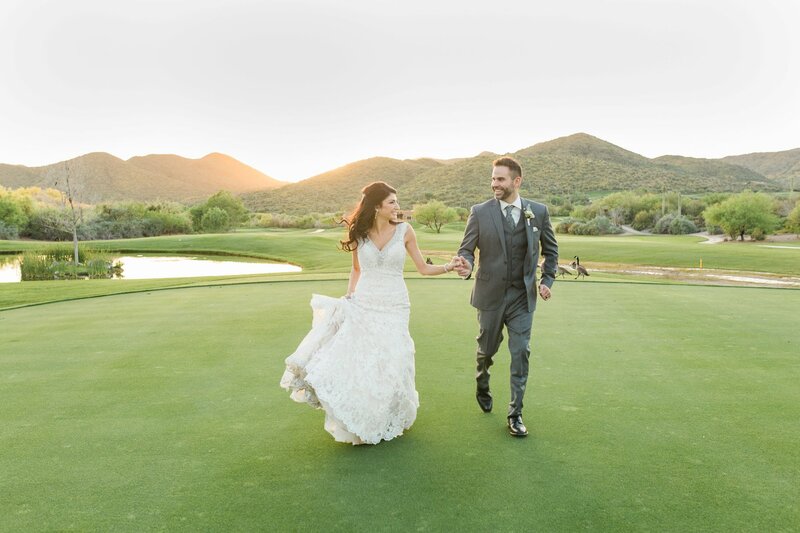 After the ceremony, everyone headed to the outdoor reception at Rancho Manana. 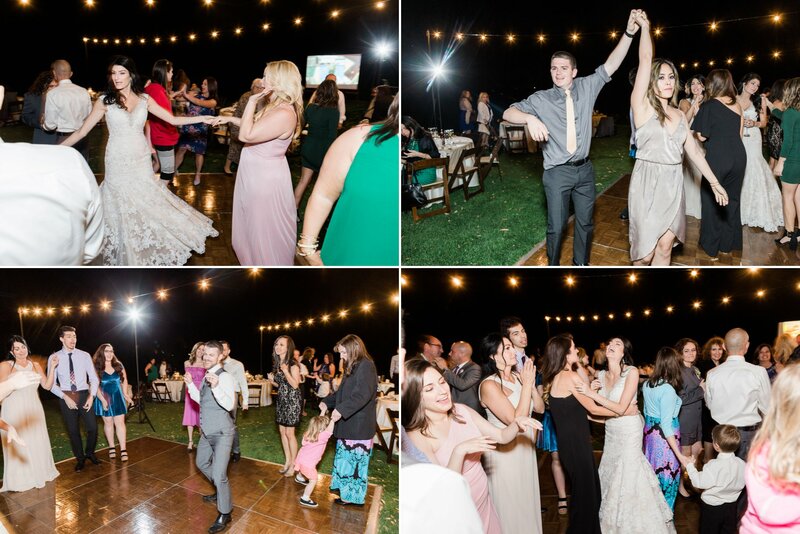 The dinner and dancing took place under the glowing bistro lights with the gorgeous desert backdrop of the resort. 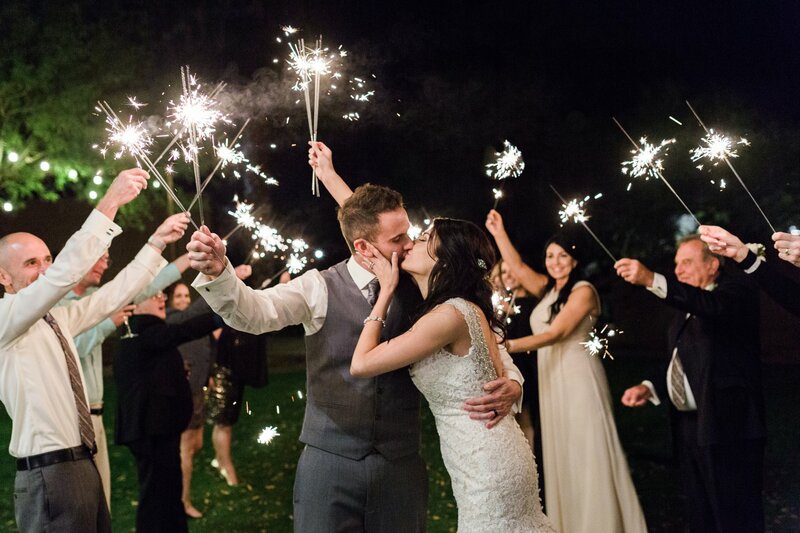 The night ended with a fun sparkler exit to celebrate the day! 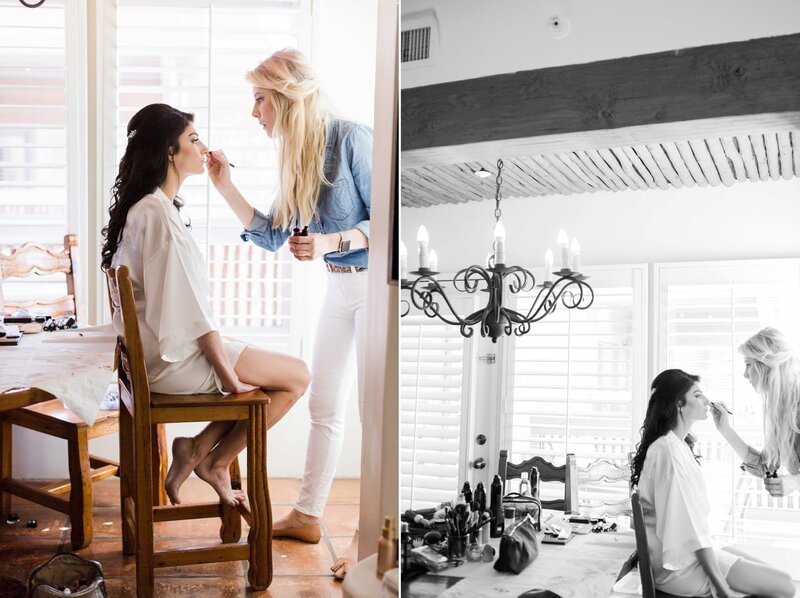 Want to see more of Jasmene & Kelly? 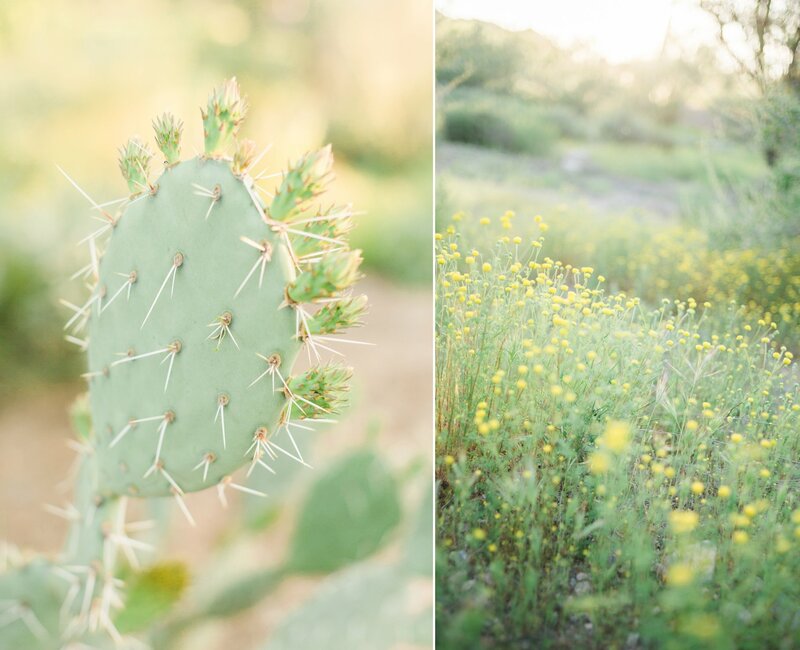 Be sure to check out their Sedona Red Rock Crossing engagement photos .